Leftist politicians are trying to slip the Chicano Park Preservation Act (HR 3711) through Congress and have it approved in the last days of the Obama presidency. This is an extremely anti-American, revolutionary Marxist / Mexican ultra-nationalist park, which has already been funded with millions of tax dollars for decades by San Diego, California and the federal government. This bill should be laughed right out of Congress, but unfortunately they are taking seriously. Making it a national historic landmark would make it much harder to ever get rid of and much easier for them to obtain federal funds to maintain and expand this site. It officially associates this crazy, Mexican ultra-nationalist site with the U.S. National Park System. Please call your representative and ask him to oppose HR 3711 which has been approved by the Natural Resources Committee and will be brought up for a vote in the House in the first half of December, 2016 or early January, 2017. If it passes, Obama will gladly sign it and we will be stuck with this silly Mexican, ultra-nationalist park forever. If it can at least be delayed a couple of weeks, Trump will never sign such a ridiculous bill, if he realizes what it is. I request that you oppose the above referenced bill when it comes to a floor vote, expected in early December or early January. 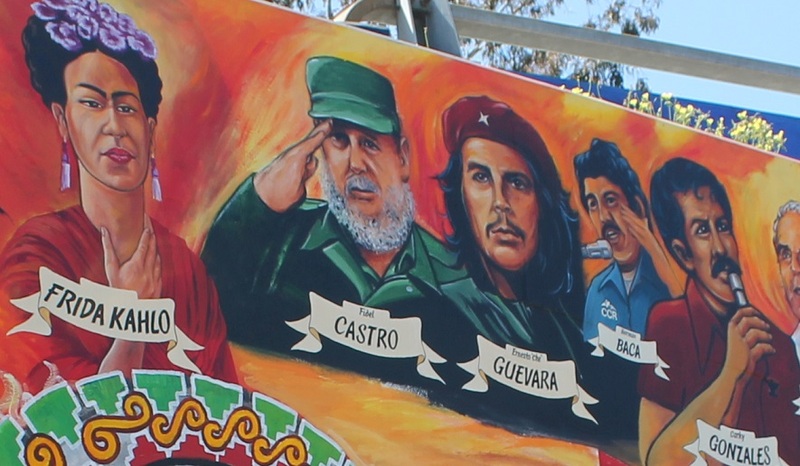 The reason is that the park represents and promotes a anti-American, separatist, political ideology, which is a combination of Marxism and Mexican ultra nationalism. It is extremely divisive and does not represent Mexican-Americans, in general. Therefore, it does not merit the status of an National Historic Landmark. See the video at the link below for more information about the park and the kinds of activities that take place there. This is not American culture and it promotes gang mentality. I’m really tired of this . go to Mexico. Funny, but it is not really Mexican culture, either. They made it up, based on Aztec paganism and borrowed concepts from Marxism and even Nazism.